Seeking the Lost Ark: The place shall be unknown, till God gather together the congregation of the people, and receive(s) them to mercy. This post builds on the info recently received from my Israeli friend. 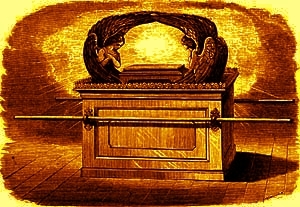 Here is something that I think is of great importance, as the Bible appears to tell us where the Ark of the Covenant is. 2Ma 2:3 And with other such like speeches, he exhorted them that they would not remove the law from their heart. 2Ma 2:4 It was also contained in the same writing, how the prophet, being warned by God, commanded that the tabernacle and the ark should accompany him, till he came forth to the mountain where Moses went up, and saw the inheritance of God. (see Deut 34:1 below for the name of the mountain, and the other verses which insure that they refer to the inheritance). 2Ma 2:5 And when Jeremias came thither he found a hollow cave: and he carried in thither the tabernacle, and the ark , and the altar of incense, and so stopped the door. 2Ma 2:6 Then some of them that followed him, came up to mark the place: but they could not find it. 2Ma 2:7 And when Jeremias perceived it, he blamed them, saying: The place shall be unknown, till God gather together the congregation of the people, and receive them to mercy. 2Ma 2:8 And then the Lord will shew these things, and the majesty of the Lord shall appear, and there shall be a cloud as it was also shewed to Moses, and he shewed it when Solomon prayed that the place might be sanctified to the great God. 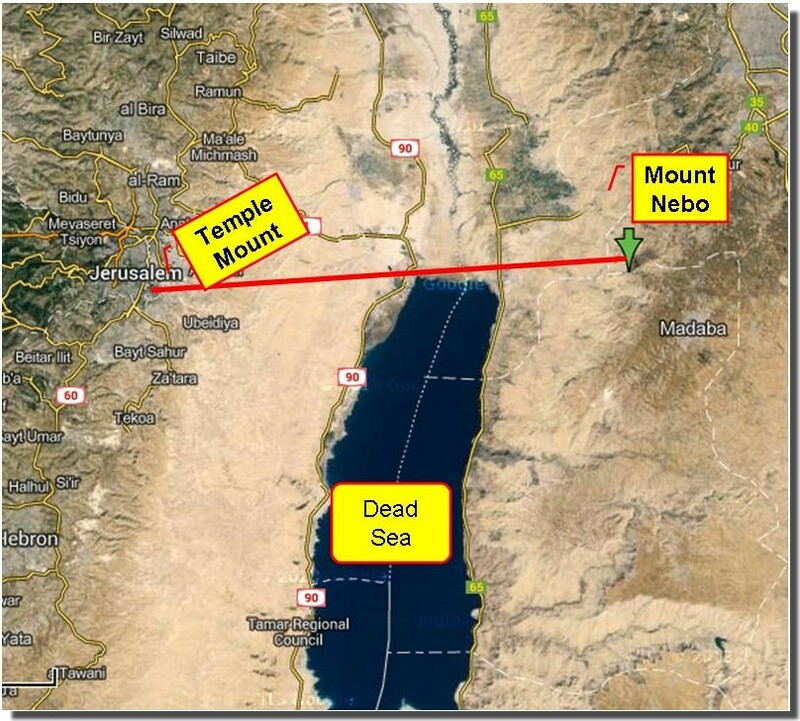 Deu 34:1 Then Moses went up from the plains of Moab upon mount Nebo, to the top of Phasga over against Jericho: and the Lord shewed him all the land of Galaad as far as Dan. Deu 34:3 And the south part, and the breadth of the plain of Jericho the city of palm trees as far as Segor. Deu 34:4 And the Lordtsaid to him: This is the land, for which I swore to Abraham, Isaac, and Jacob, saying: I will give it to thy seed. Thou hast seen it with thy eyes, and shalt not pass over to it. The Jews, the Arabs and the non-Catholics don’t have the books of Maccabees and they refuse to read them in Catholic Bibles. 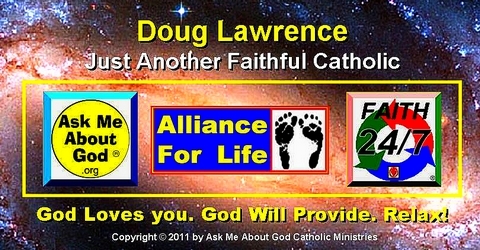 After all, they say the Catholic Bible is corrupted and Maccabees is not inspired…right? This reminds me of the Indiana Jones movie “Raiders of the Lost Ark” where Sallah (John Rhys-Davies) looked over about half mile away, saw the Nazi’s digging for the ark and rejoiced by saying “They are digging in the wrong place”. Months ago I asked my Jewish friend where Mt. Nebo was, without mentioning why I would like to know. He said it is in Jordan. That is another reason why the Jews never tried digging there. It makes a lot of sense to me that since the temple mount is a relatively small area and has been explored, dug and tunneled for many centuries and yet never was even a sign or clue that something as large as the Ark was found within it. Even the crusaders made exhaustive but essentially fruitless searches there. Go back and read again the 2nd sentence of 2Ma 2:7. Maybe it is happening right now??? There’s a lot of intriguing possibilities there. I find it interesting, looking at the map, that Moses did indeed have a clear view of precisely what is described in the scriptures. God really did let him see the Promised Land – pretty much in its’ entirety. It’s been my experience that people expect the site of the lost Ark to be either somewhere on or around the temple mount, or even as far away as Mt. Sinai – assuming that anyone today actually knows the true location of that holy mountain. Even with the sold description provided in Maccabees, there’s a lot of potential hiding places for the Ark, on and around Mount Nebo. Another interesting note about Moses: Even the devil was unable to find his dead body, so Moses is a very good candidate for having being assumed into Heaven, by God – as was Elijah, in his fiery chariot. The fact that both later appeared with Jesus during the Transfiguration seems to add credence to that possibility. So we have Enoch, Elijah, Moses, the Blessed Virgin Mary – and maybe even Lazarus – his second time around – all being assumed into Heaven, by the awesome power of God. That’s almost a bigger deal than finding the lost Ark! The Ark of the Covenant is, of course, an ancient archetype (no pun intended) for the Blessed Virgin. The Ark contained the tablets of the Word of God. She was the bearer of the Word Incarnate. The Ark contained the manna of the wilderness. She held in her womb the Bread of Life. The Ark held the budding staff of Aaron. Within her was the spring of new life from the stump of Jesse. That she is the Ark of the Covenant is seen in Revelation 11-12 where, in John’s vision of heaven, he sees the Ark of the Covenant, and immediately afterwards sees the sign of the woman in heaven clothed with the sun who bears the child who rules with the rod of iron. So the angels overshadow the Ark of the Covenant. Then there is that interesting story of Ruth in the Old Testament. You may remember that the young widow Ruth was entitled to marry her kinsman Boaz, who would look after her. According to custom she presented herself to him, and as a sign of his acceptance of her he takes her under his cloak. Now, the Hebrew word for a cloak is the same as ‘angel wings’ and is the same root as the word ‘to overshadow’. As a sign of betrothal, Boaz “overshadowed” her with his cloak. Jump forward to the Annunciation and we see that the angel says “the power of the Most High will overshadow you.” This “overshadowing” therefore alludes to the angel wings, and to Boaz’ cloak of betrothal and to the wings of the angels that overshadowed the Ark of the Covenant. Thus in one little word the full imagery of the Old Testament prophecies about the Blessed Mother are brought to fulfillment. Also, we see why that curious (and seemingly superfluous) story of Ruth was included in the Old Testament. Editor’s note: The reference in the Book of Revelation to the Ark being seen in the Heavenly Temple refers to the Assumption of the Blessed Virgin Mary, who is the living Ark of the Covenant, courtesy of her divine son, Jesus Christ. (Revelation 11:19) And the temple of God was opened in heaven: and the ark of his testament was seen in his temple. And there were lightnings and voices and an earthquake and great hail. 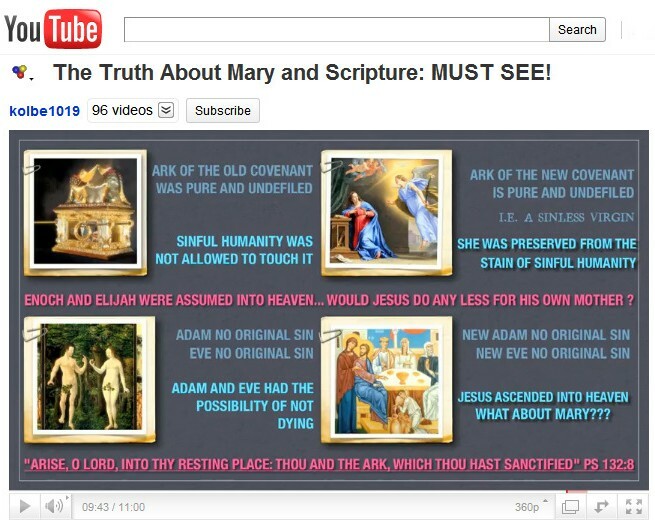 This terrific video explains why the Blessed Virgin Mary is (and according to the Bible) can only be the very special, holy woman that Jesus and his authentic Catholic Church have known, loved, and suitably venerated, from the earliest days. ‘Ark of the Covenant’ about to be unveiled? Ethiopian patriarch supposedly tells pope he will show artifact to world … but doesn’t really mean it! The patriarch of the Orthodox Church of Ethiopia says he will announce to the world Friday the unveiling of the Ark of the Covenant, perhaps the world’s most prized archaeological and spiritual artifact, which he says has been hidden away in a church in his country for millennia, according to the Italian news agency Adnkronos.